It's when you have the last kilometre to struggle uphill and realize your bottle has run out of water that a few things become clear. There I was, nearly at the top, and my tongue felt like it was two sizes too large for my mouth and I had no spit to swallow. A fine tremor in my hands and white spots dancing in front of my eyes. I knew that in less than 1 km, there was a natural spring and I would be ok, but at that moment it was hard not to panic. Water, just a combination of hydrogen and oxygen molecules and essential to life on earth - how could I get my hands on it? 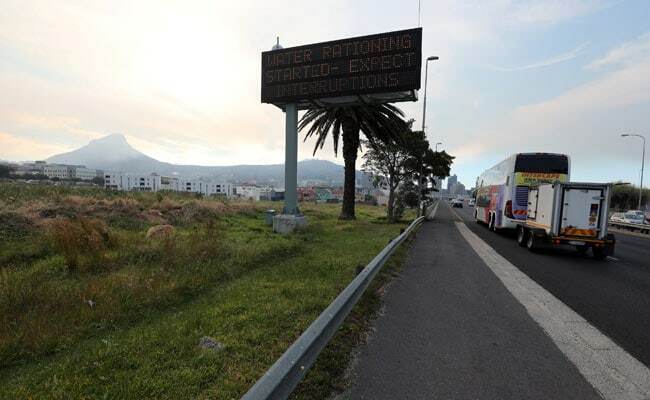 Is it any wonder that Capetonians are at present short-tempered and worried? Yesterday, the government started the 50 litres of water per person per day restrictions in the city. This is a last ditch effort by the government to try and get people to reduce water consumption in order to stave off Day Zero - April 16. 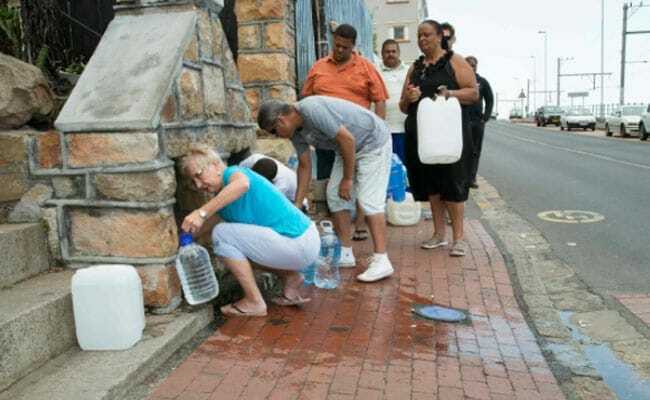 If the emergency rationing doesn't work, it might mean our taps run dry and Cape Town bears the ignominy of being the first world metropolis to effectively run out of water. World headlines have speculated on Day Zero and a fine distinction must be made. 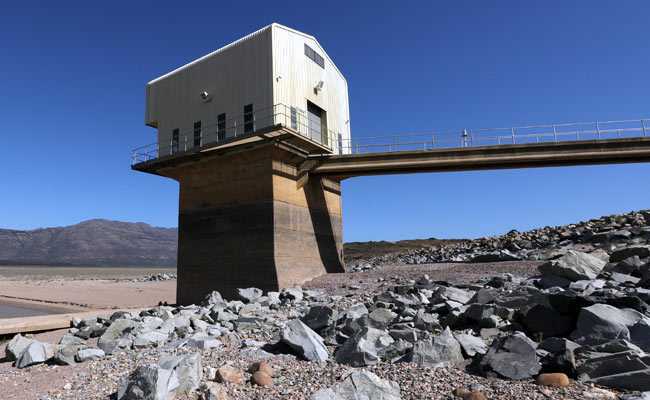 When we say "run out of water", it does not mean that all the water left in Cape Town will be in the ocean, but that all currently available water resources for citizens will be unusable. In the last few weeks, hundreds of people have been collecting water at the regular, natural spring water spots in the city. Not only is this water drinkable, but it is free as it is fresh water running off the mountains. While these water spots were mainly targeted by local residents to fill water bottles, now vast lines of people are snaking their way towards them. This has caused traffic jams, short tempers, fights over how much water people are taking and how often, as local residents who have been used to that water for decades are irritated at having to share. On Tuesday, at the Newlands Spring, just behind the famed Newlands cricket grounds, fisticuffs broke out and one person was arrested. When I visited there to do a story, the lines were long, snaking out towards the road and irate people were cursing the government for failing them. One elderly lady who looked hot and red under the summer sun said she waits on average for two to three hours in line for water and struggles to carry her bottles to her car. I wondered if it was already so bad, what would happen if we hit Ground Zero and four million citizens had to get in line to collect water at 200 designated points. On Day Zero, water restrictions will further drop to just 25 litres of water per person per day. The government for its part has been thoroughly opaque about its plans, so rumours and gossip have started to spread panic. 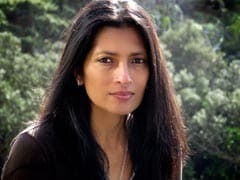 People believe that water will cost more, that the rich and powerful will get more, that collection points will be inadequate. Cape Town is one of the most unequal cities in the world in terms of economy and resources. For many townships, even in the years before water scarcity, it was a few communal taps that provided water while in the richer suburbs, boreholes watered green lawns. There are 22,000 boreholes registered in the city so far. Many of Cape Town's wealthier citizens are now getting more boreholes dug at their homes. There are as of yet no real restrictions on how much water can be used by a borehole, and as the resident has payed for his or her own well, the city is not paid for this water usage. Boreholes, however, are super expensive, costing thousands of dollars, unaffordable for most people. Most of the water in Cape town comes from surface water resources or dams. Right now, levels have dropped below 30% and the last 15% is unusable. The vast underground aquifers with ample water are not a source that have been tapped into in a big way - which might end up being Cape Town's saving grace. The government has commissioned three drilling points and a few small desalination plants. But none of this will come online until later in the year. It is an unavoidable fact that we are facing the worst drought in 100 years and three years of failed rainfall has decimated dams. However, the government woke up too late to the crisis and even without a drought, there was trouble looming: Cape Town's development has sky-rocketed with the urban population pretty much doubling in the last decade. 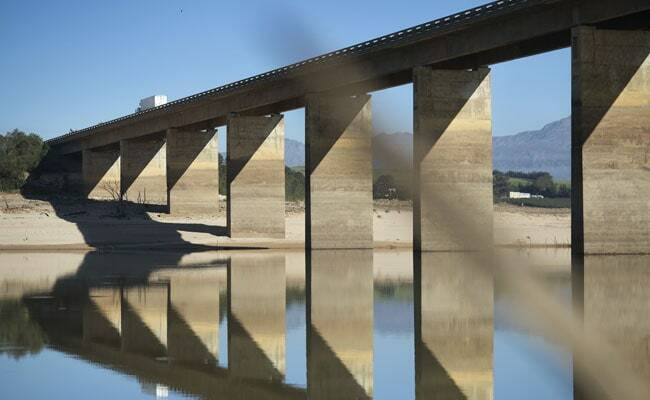 Water will not be cut off to commercial businesses, hospitals and the agricultural sector that has already seen water reduced for their use by 60%. A prolonged crisis could push the economy into shambles. Social unrest will be a given. The government has promised that the collection points will be well-managed with 24-hour security and hundreds of taps to ensure lines move quickly. They have also promised that the elderly will be helped but have not said how parking will work, or how far people might have to walk with 25 kilos of water or what will happen to the disabled. At the Newlands Point, one lady said she was a single mother with two children and worried about collecting water by herself for all of them. Also, she asked, how would she do this every day given that she has to get to her job. None of these crucial worries have been assuaged and tempers are fraying. It will be at least four months until winter rains arrive to help out the dams. At least three good rain seasons are required for the dams to bounce back to pre-restrictions level. Climate change is a looming threat and has affected winter precipitation over the years. 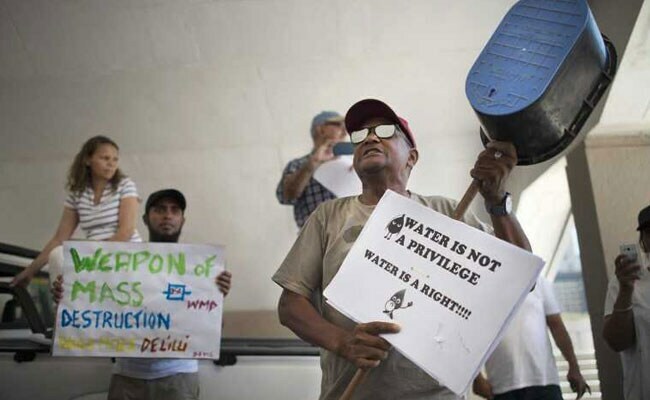 If Capetonians can grit their teeth and follow the water restriction plans, perhaps Ground Zero will be held off, but it is time for us to realize that we are dealing with the most precious resource and that some amount of restrictions are going to be the new normal. We can never go back to being careless people who leave our taps running.